Chinese investment fell 36.3% or AU$8.2 billion ($5.8 billion) in 2018, confirming Australia has caught up with the United States, Canada and the United Kingdom as a less favorable destination for Chinese capital. Chinese investors also remain pessimistic about the investment environment in Australia, where they said it was becoming harder to raise capital, particularly in the property sector. Some investors complained the Australian media singled them out for criticism, and while more were optimistic about the bilateral relationship than a year go, 59% still said the domestic political debate about China was a turn-off. The findings were part of “Demystifying Chinese Investment in Australia,” an annual report released on Monday by KPMG and the University of Sydney, which analyzed direct Chinese investment into Australia in 2018 and studied investor sentiment. “It doesn’t feel particularly robust at the moment but at the same time China still sees Australia as a safe and attractive place to invest,” said Doug Ferguson, report co-author and head of Asia & International Markets for KPMG Australia. 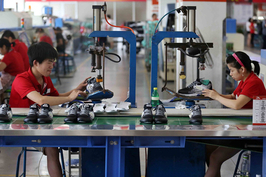 The rate of decline is now closer to the falls recorded in the U.S. and Canada where Chinese investment dropped by 83% and 47% respectively in 2018. The decline was more than double the 11% fall in Chinese investment into Australia between 2016 and 2017. Healthcare was the most popular sector for Chinese investors, overtaking commercial property for the first time. The survey does not include residential home or apartment purchases or deals worth less than $5 million. Healthcare made up 41.7%, or AU$3.4 billion, of total Chinese investment for the year following a string of mega deals, including a bid by China's CDH Investments for Sirtex Medical, Chinese health supplements giant By-Health’s acquisition of probiotic manufacturer Life-Space Group, and Jianyin Investment's acquisition of Nature's Care. But Chinese investment in commercial real estate fell to AU$3 billion from AU$4.4 billion in 2017. Yuhu Group’s AU$1.1 billion acquisition of Dalian Wanda’s property assets in Australia made up 31% of the total. ENN’s acquisition of more shares in Santos AU$619 million pushed up investment in the energy sector. The mining sector only accounted for 5.6% of the Chinese investment, while food and agribusiness only attracted AU$100 billion of investment. NSW attracted more than half the capital at 53% while Victoria fell to 27%. Private investors accounted for 92% of the Chinese deal volume and 97% of deal value in 2018, up from 83% in number and 60% in volume in 2017. Investment by state-owned enterprises dropped to just over AU$1 billion. The percentage of Chinese investors who said they felt welcome to invest in Australia remained low at 38% but improved from 35% in 2017. But there was also an increase in the percentage who said they felt unwelcome, from 15 to 19%. Fifty-nine per cent said the political debate around China made them more cautious about investing, but this was better than 70% in the previous year. 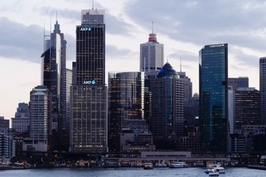 Ferguson, who is also KPMG's NSW chairman, said Australia’s investment links with China were increasingly being influenced by global events rather than domestic issues. Prime Minister Scott Morrison last month appointed a new ambassador to Beijing and established an AU$44 million foundation to focus on Australia’s relationship with China in a bid to improve fractured ties, while the opposition has also signaled it wants to work on the relationship. The foreign investment environment is overshadowed by security concerns about inbound investments by Chinese technology and telecommunications companies such as Huawei Technologies Co. Ltd.
Australia’s Foreign Investment Review Board has signaled it could follow the U.S. lead and adopt tougher national security rules to stop sensitive assets ending up in offshore hands. The U.S. surpassed China as the largest source country for approved proposed investment n 2017-18 due to an increase in U.S. approvals and a decline in Chinese approvals, according to FIRB's latest annual report.